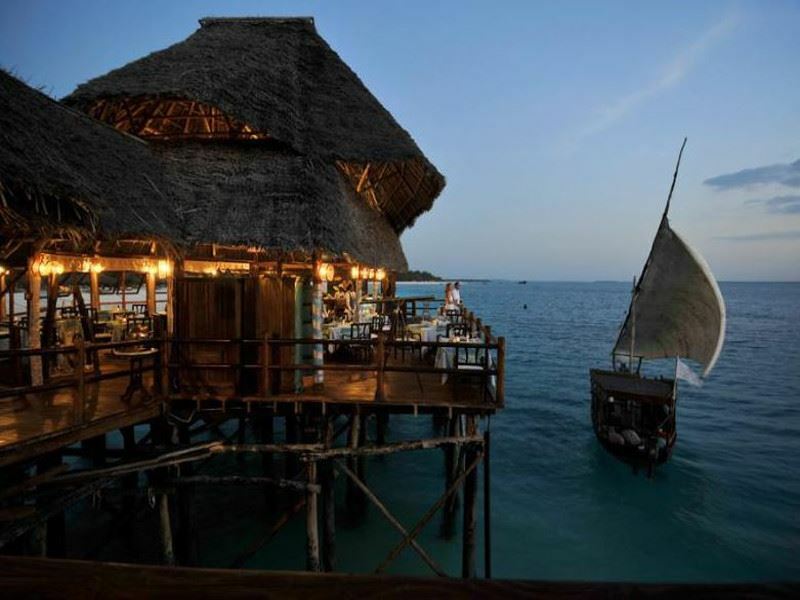 A castaway-fantasy paradise off the coast of Tanzania in East Africa, Zanzibar has always wowed with palm-swayed coral beaches, warm Indian Ocean waters, spectacular dive sites, and wonderful weather. But it’s now shining brighter for its new wave of chic hotels and resorts, all of which are a huge draw for wave-chasers who like their luxuries. We’ve checked into the best places to stay in what 19th-century Scottish explorer David Livingstone described as 'the most beautiful place on Earth'. The scene: Opened in 2010 as the first designer-led boutique property in Zanzibar (minimalist fans will notice Philippe Starck’s stamp on the place), this away-from-it-all bolthole is located on the island’s northwestern tip. The sugary sands of Nungwi Beach are within rolling-out-of-bed distance. Abeid Amani Karume International Airport is an hour and 40-minutes away by car. The sleep: The spoiling and sleek rooms, suites, and oceanfront villas offer an effortless mix of comfort and contemporary design. All have marble flooring, Italian bathrooms, beds dressed with Egyptian cotton linens, bespoke furniture made from locally-sourced coconut wood, and French doors leading onto balconies or terraces. For families or groups of friends who need more space, there are two additional villas located just a ten-minute drive away in peaceful Kidoti (both have pools and are staffed with a chef, waiter, butler, housekeeper, and driver). The stay: With a strong emphasis on relaxing, the facilities make the most of the bathtub-warm Indian Ocean waters; think scuba diving, snorkelling, deep-sea fishing, sunset cruises, and bronzing to perfection on the beach. The hotel also boasts a large outdoor infinity pool, a mini spa for beauty treatments and therapies, and an on-site shop selling African jewellery, soaps, spices, and precious stones. There’s also an excellent al fresco restaurant for ingredient-driven cuisine and a relaxed bar for end-of-day cocktails, Asian-fusion tapas, and sharing platters. The scene: Arresting views of vanilla sands and luminous blue Indian Ocean waters dominate at this laid-back but shamelessly luxurious resort on Zanzibar’s northwest shore. You’ll be just an hour and 20 minutes from Abeid Amani Karume International Airport and Stone Town - the charming island capital that was declared a World Heritage Site by UNESCO in 2000. The sleep: Varying in size and layout, the 138 rooms and suites do expansive luxury fittingly and fabulously. Expect African-chic interiors, tiled flooring, comfortable king-size beds (or singles) dressed with high-quality linens and mosquito nets, tea and coffee-making facilities, and furnished terraces with garden or sea views. For deeper pockets, the five-bedroom Presidential Suite has a large shared living room, office, hydromassage Jacuzzi baths, walk-in wardrobes, round-the-clock butler service, and private pool with dazzling ocean views. The stay: While the tropical surrounds are Instagram gold, this sparkling resort ups the ante when it comes to facilities. There’s an attractive pool with a sunken bar, a jetty that stretches out into the ocean, a sublime spa for treatments and therapies using plants, flowers, salt, spices and wild honey, and a daytime activity schedule for kayaking, canoeing, beach volleyball, tennis, and water aerobics. You’re spoiled further with four upscale restaurants, three casual bars, live evening entertainment, and the option of Swahili cookery classes with wine tasting. The scene: This high-design beachfront resort has peace and privacy nailed with an off-the-beaten track location in the village of Kendwa, around an hour from Stone Town and Abeid Amani Karume International Airport. 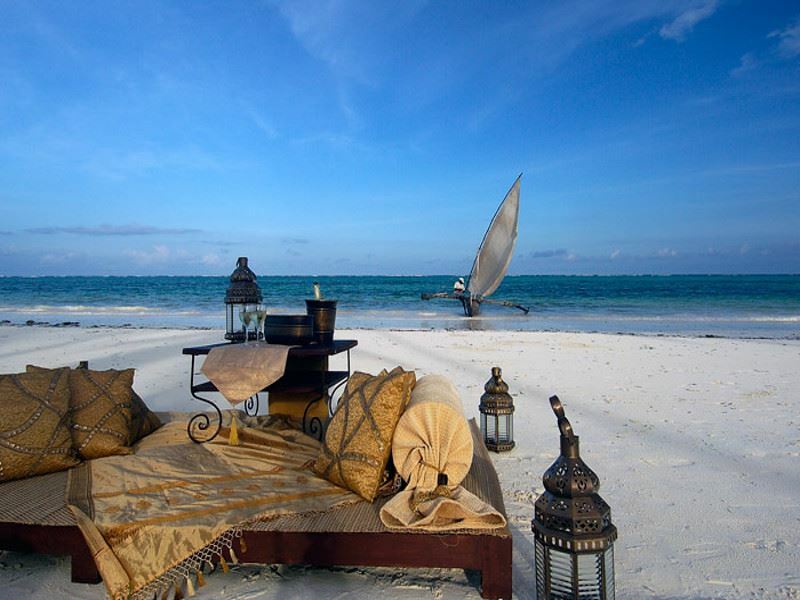 Surrounded by landscaped gardens, this is one of the finest stretches of beach on the Tanzanian archipelago. And the sunsets aren’t too shabby either. The sleep: Spread across the grounds, the 55 thatch-roof bungalows and suites will impress the style-conscious. Complete with garden or ocean views, all have natural materials, comfortable beds with mosquito nets, walls adorned with African murals, and indoor-outdoor bathrooms with organic toiletries. There’s also outdoor terraces with wicker furniture and hammocks made for afternoon snoozing. If you need more living space, the salubrious villas feature open-air Jacuzzis, entertainment rooms, fully-equipped kitchens, and private pools. The stay: In addition to a 32-metre-long infinity pool and a silky-sand beach with safe swimming waters, there’s an on-site dive centre with PADI-approved courses, a blissful spa for top-to-toe pampering, a yoga deck (private lessons are available), and outdoor ‘wild fitness’ gym areas. You’ll also find a fragrant spice garden where you can stroll, meditate, or take Swahili cookery classes. Equally standout are the on-site restaurants for European, African, Arabic, and Indian cuisine and the adjoining bars for sophisticated cocktails, fruit daiquiris, and delicious smoothies. 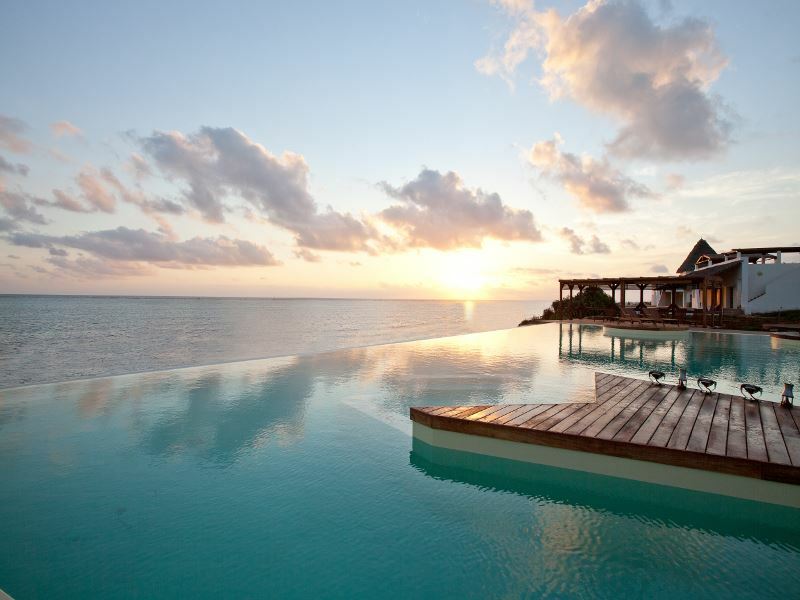 The scene: Set in a natural cove and surrounded by powder-white sands, crystalline Indian Ocean waters, and gardens thick with tropical shrub, this contemporary-style property run by the Essque brand of hotels is set on Zanzibar's northernmost tip, near to Nungwi Beach. You’ll be a ten-minute drive from Kendwa and an hour from Abeid Amani Karume International Airport. The sleep: There’s 40 suites spread throughout the gardens and eight thatch-roof villas with either three or four bedrooms. All are designed to a high spec; think chic décor with Swahili touches, traditional artworks, neutral colour tones, and European-style furniture. Further amenities include shaded outdoor seating areas, king-size four-poster beds, personalised minibars, and flatscreen TVs with digital channels. The villas have private pools, spacious living and dining areas, and fully-equipped kitchens (there’s a private chef for off-duty days). The stay: You’ll have access to a wealth of facilities, including a come-hither infinity pool, a blissful spa offering treatments with natural plants and oils, a small gym, and a dive centre for PADI-approved courses and a selection of non-motorised activities like kayaking, paddle boarding, and snorkelling (deep-sea fishing and water-skiing are also available). There’s also three superb restaurants for à la carte menus that draw focus on seafood and local cuisine and a jetty bar for all the sheesha smoking, cocktail drinking, and sunset watching you can muster. 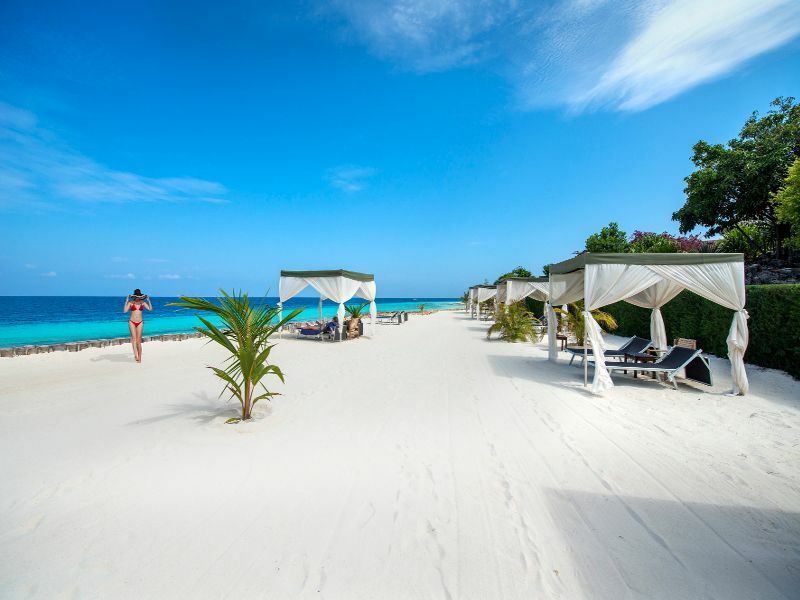 The scene: Spread across palm-lined gardens and facing the white-sand Bwejuu Beach on Zanzibar’s peaceful southeast coast (hailed by Conde Nast Traveler magazine as one of the top 30 beaches in the world), this relaxed European-style resort is only 90-minutes from Stone Town. Abeid Amani Karume International Airport is a 75-minute drive away. The sleep: The rooms are identical in terms of décor and size, but the suites have walk-in dressing rooms and much larger bathrooms. 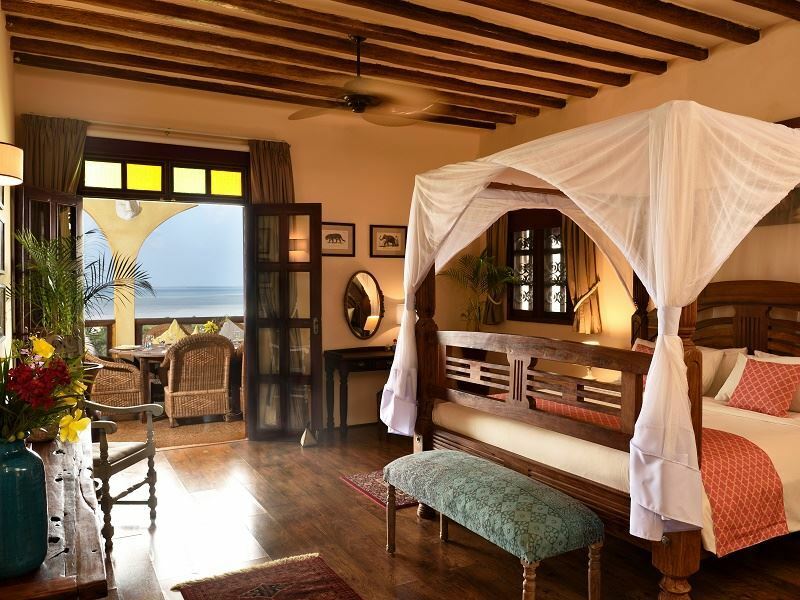 All have air-conditioning and ceiling fans, comfortable beds dressed with luxe linens and cotton throws, and classic design (teak wood finishes, beamed ceilings, Zanzibar carvings). Further amenities include personal electric safes, tea and coffee-making facilities, sofas that double up as beds, and balconies or terraces with lovely views of the surrounds. Please note there are no TVs or telephones in the rooms. The stay: The restaurants and bars will appeal to those keen to savour Swahili dishes and European fare matched with fine wines. Facilities include a large pool, a selection of watersports (snorkelling, scuba diving, sailing), and a postcard-perfect beach. Back on dry land, you can play tennis, join yoga classes, work out in the gym, or hire bikes to cycle down the beach to Bwejuu village. There’s also a candlelit spa for soul-soothing treatments and therapies, including a signature Après Safari package to rejuvenate guests who have spent time on bumpy roads. The scene: Fronting a dazzling mile-long beach on Zanzibar’s southwest corner, this thoughtfully designed villa resort occupies 32 hectares of gorgeous tropical gardens. You’ll be just 20 minutes from the village of Kizimkazi and 55 minutes from Stone Town. Tours of the island’s famous spice plantations and visits to the nearby Jozani Forest Reserve can be arranged. The sleep: The design style in the 66 freestanding villas draws inspiration from Swahili, Omani, Indian, and British cultures. You’re can also look forward to a private pool, canopied king-size bed, flatscreen TV with satellite channels, tea and coffee-making facilities, and oversized bathroom with freestanding bathtub and posh bath products. Best of all, there’s Indian Ocean views from every single room. A private butler service is available for the duration of your stay. 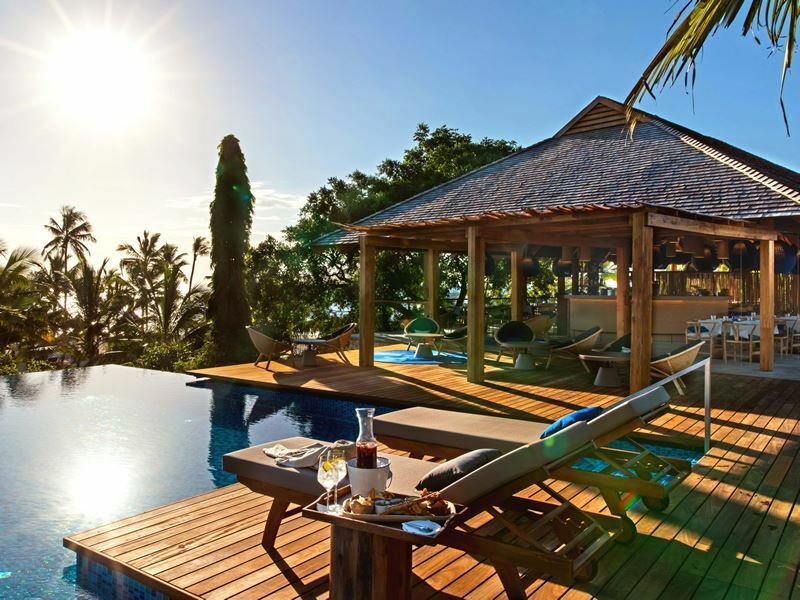 The villas also have terraces with daybeds, umbrellas, and outdoor showers. The stay: Away from the white sands, swim in the infinity pool, borrow a bike to explore the local area, and enjoy heavenly pampering in the state-of-the-art spa complete with six treatment pavilions - each with their own private garden, outdoor shower, bathtub, and relaxation area. There are two restaurants: one for international cuisine infused with Zanzibar spices and the other for gourmet fare with Indian, Arabic and Mediterranean influences. For those who desire total privacy, in-villa dining or private barbecues on the jetty can be arranged. 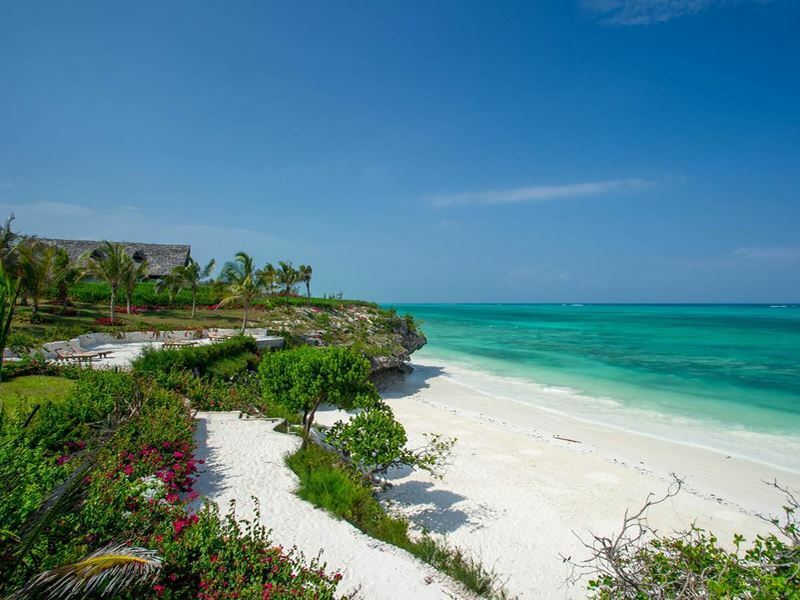 The scene: The exclusive sister property to Breezes and Baraza is located along Zanzibar's southeast coast. Not only will you have front row views of the award-winning Bewjuu Beach and the Indian Ocean, but you’ll be just an hour’s drive from the cultural wonders of Stone Town. Please note that this resort is for children aged 16 and over. The sleep: There’s just six thatch-roof villas, all with a sophisticated design scheme that combines coffee, caramel and cream hues with dark grained polished floors and colonial grandeur. All have a spacious living room, dressing room, two bedrooms with en-suite bathrooms, and a large furnished terrace with outstanding Indian Ocean views. There’s also a silk-draped four-poster bed, flatscreen TV with satellite channels and DVD player, tea and coffee-making facilities, and minibar. All villas have their own private plunge pool. The stay: The ultra-luxe beach boutique vibe is best suited to honeymooners and couples looking for peace, privacy, and a personalised service. There’s a divine spa for feel-good facials, body treatments and massages and a water club for activities such as sailing, diving, kayaking, paddle boarding, and kite surfing. 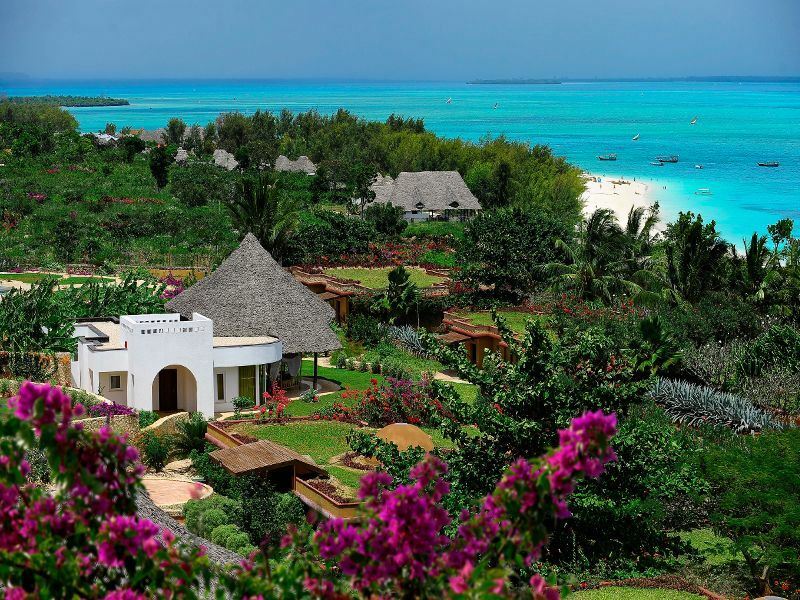 Further activities include Swahili lessons, palm weaving on the beach, and cooking classes. For eats and treats, the elegant plantation-style restaurant is perfect for tucking into mouth-wateringly good cuisine prepared with the island’s famous spices. The scene: The newest addition to the prestigious Zanzibar Collection portfolio, this ultra-luxe boutique hotel overlooks the white-sand Paje beach on Zanzibar’s east coast. Not only will you be only an hour’s drive from the airport and Stone Town, but you’ll also be within easy distance of Paje, Bwejuu, and the Jozani Forest Reserve that’s famous for its red colobus monkeys. The sleep: Framed by swaying coconut palms and bougainvillea, the nine seductive villas look out over private plunge pools to the Indian Ocean. Complete with a chic and minimalistic décor scheme with off-white and cream colour accents, all have huge double beds with luxurious memory foam mattresses, flatscreen TVs with digital channels, and large bathrooms with walk-in showers and freestanding bathtubs. You’ll also have a spacious outdoor terrace with cushioned daybeds, bougainvillea and palm trees galore, and incredible views you’ll never tire of. The stay: While it’s tempting to spend most of your time unwinding on the sands and listening to the sound of the waves, the PADI-approved diving courses and snorkelling trips to the Oba-Oba lagoon are definitely worthy of your attention. There’s also a 900-metre-long jogging trail with chin-up bars, benches, monkey bars, and a special set of weights placed at regular intervals. And it’s just as joyous at the bar and restaurant, an ocean-facing spot where you can enjoy spice-infused cuisine and refreshing drinks (a full moon party is organised here once a month). 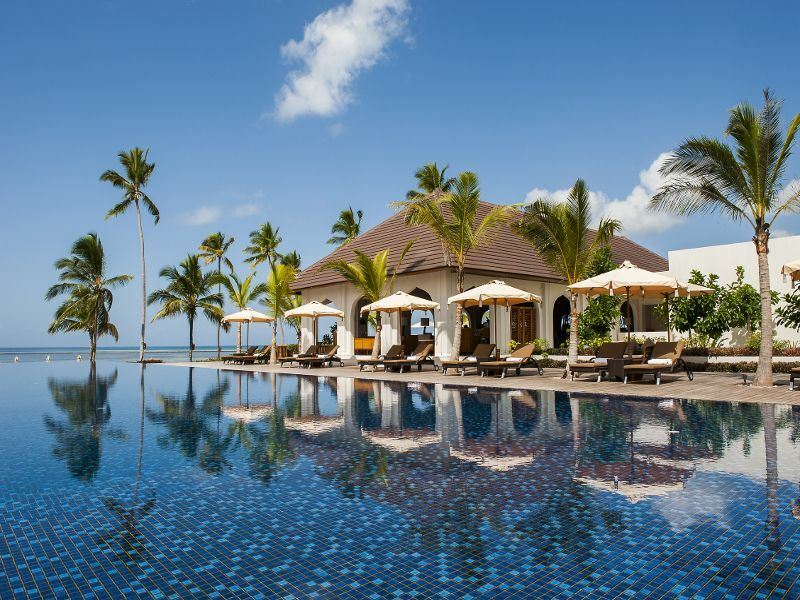 The scene: Set in tropical gardens on Zanzibar’s northwestern tip, this lavish resort-within-a-resort overlooks the white coral sands and dazzling Indian Ocean waters of Nungwi Beach. This place prides itself on offering a private sanctuary vibe while also giving guests the option of using the facilities at Diamonds La Gemma dell’ Est at no extra charge. The sleep: Named after 11 of the most precious gems on the planet, the one and two-bedroom thatch-roof villas reveal contemporary African-style décor, tasteful wooden detailing, on-trend colour accents, and gorgeous four-poster beds swathed with soft white muslin linen. Both accommodation types have gardens, plunge pools, and furnished terraces for al fresco dining. There’s also flatscreen TVs with satellite channels, free Wi-Fi, personalised minibars, and tea and coffee-making facilities. The larger villas have Jacuzzi baths. The stay: While Diamonds La Gemma dell’ Est’s facilities are available (pool, jetty, spa, gym, tennis courts, bars, wining and dining spots), guests will have their own restaurant for refined international à la carte dishes and panoramic views over the gardens and the ocean (reservations are required). Alternatively, make the most of in-villa wining and dining. The service is as top-notch as it gets; not least because there are private butlers who will help with everything from sorting dry-cleaning and laundry to delivering breakfast or sundowners. The scene: Architecturally the most glamorous of Zanzibar’s new lodgings, this welcoming resort is set in 70 hectares of bougainvillaea, frangipani and jasmine along the white sands of Bwejuu-Paje, near to the island’s coolest kitesurfing destination. Trips to the reef that contains the only National Geographic dive site in East Africa can be arranged at the dive centre. The sleep: The 30 one and two-bedroom villas tend to house families on one side and honeymooners and couples on the other. 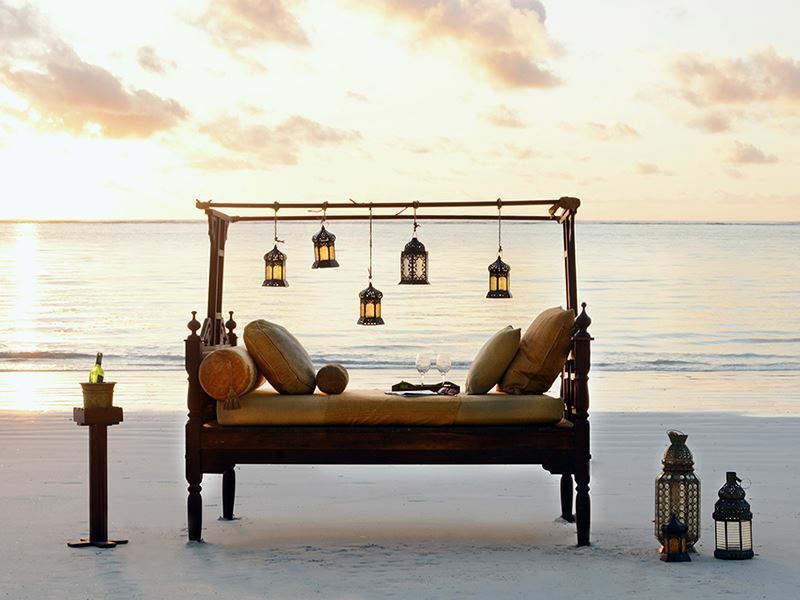 Complete with views of the gardens or the 240-metre private stretch of Bwejuu Beach, all feature Arabic, Swahili and Indian design, hand-carved furniture, beautiful antiques, intricate brass lanterns, and white and gold hues. Walk-in dressing rooms, well-stocked minibars, bathrooms with freestanding bathtubs, terraces with curtained daybeds, and private plunge pools complete the opulent touches. 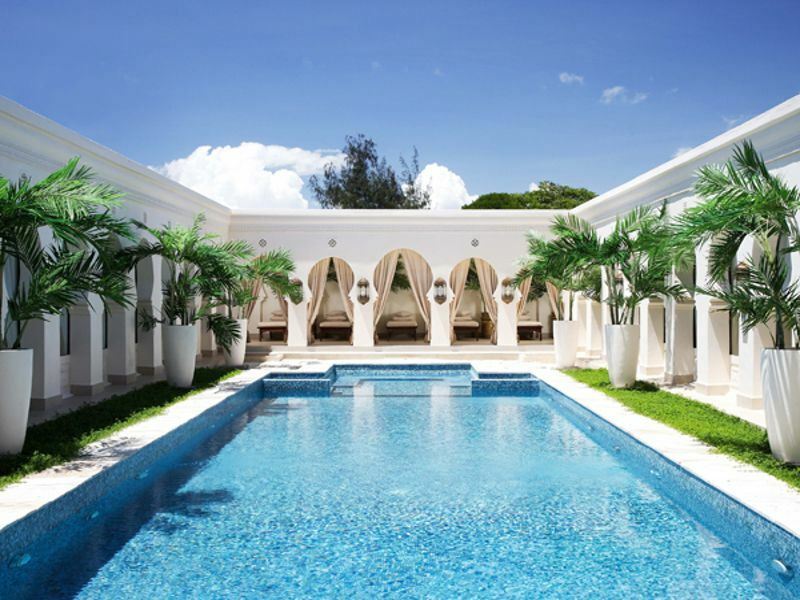 The stay: Everything at this place warrants the price tag; from the oh-my wining and dining spots to the Swahili-style spa that features indoor and outdoor relaxation rooms as well as a yoga centre, fitness centre, and tennis court. There’s also a library, outdoor pool, PADI-approved dive centre, and a range of activities including Swahili history lessons, palm weaving on the beach, and cookery lessons held by the chefs who will teach you all about local spices. The resort also has a dhow for those who want to sail to the mysterious mangroves of Michamvi.